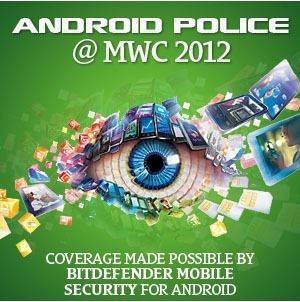 Follow MWC 2012 Coverage With Android Police February 26-29 - Here Is What To Expect! Starting Sunday (February 26), the world's biggest dedicated mobile technology conference will kick off in Barcelona, Spain - Mobile World Congress 2012. Tens of thousands of journalists, exhibitors, and booth girls, along with millions of business cards and promotional knick-knacks, will swarm the provincial capital of Catalonia like a Baskin Robins on Free Scoop Night. Countless tons of tapas and sangria will be consumed. Few hours of sleep will be had. And most importantly, hundreds of new and exciting Android devices, apps, and accessories will be unveiled. That's where we step in. In fact, it's fully likely that MWC 2012 will outdo CES in terms of new Android device goodness, because the whole event is centered around all things mobile. And as we all know, when we say mobile technology anymore, we're usually referring to smartphones or tablets. Because they're awesome. Artem and myself will be flying out to Barcelona tomorrow, arrive on Saturday evening, and prepare fully (read: not sleep at all) for the first round of activities on Sunday. It's going to be an action-packed thrill-ride. And we'll be attending the conference thanks to our generous and exceptionally superb sponsors at Bitdefender (check out their Mobile Security app). What can you expect? Live blogs. Extensive tweeting. Lots of articles on new products (the entire AP team will be on standby to bring you up-to-the-minute/hour coverage). Of course, we'll be bringing you tons of coverage from stuff not listed here, as well as any cool stuff we find wandering the halls at the convention center.